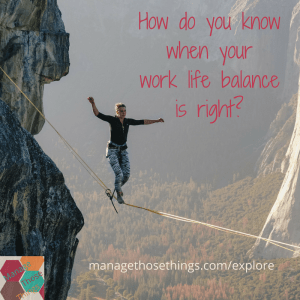 How do you know if your achieving work life balance? How do you know if you’re achieving work life balance? Is it happiness? Is it the amount of time you’re spending in your garden or with your children? This article in the Guardian this week explained how a New Zealand company trialled a 4 day working week for 5 days pay to test how this would affect workers work life balance. It’s interesting that this two week trial showed a 24 point increase in achieving work life balance. That’s powerful isn’t it? Would you like to increase your work life balance indicator by 24 points? I think many people would! Especially busy business owners. What measures do you use for achieving work life balance? We all have different aspirations, so what may sound feasible for one may be totally alien to another. Amount of time at home v work – Even if you work from home, the separation of home time and work time is often the biggest factor people mention when talking about achieving work life balance. Do you have the amount of time in mind that you want to achieve? Is it 10 hours work time? Or is it about being home by 4pm when the children arrive home from school? Some people work the other way around – how much time do I have available to work if I need to take the children to school, do my home jobs, do the shopping for my neighbour and be able to pick the children up. OK, maybe that’s extreme, but remember, this is about what’s right for you. Quality time with the family – What do you mean by quality? Is it a day out? Is it having a meal and chat together? Is it reading stories before bedtime? Is it being in the same place at the same time? Define what this is for you, if it’s important to you achieving work life balance. Time spent doing hobbies – Do you work so you can play more? Would having more time doing your hobbies be an important measure of your work life balance? Time doing exercise or sport – This may be about getting away from work at the right time to play the team sport you want to do. Or it might be devising your schedule so you can do everything you want to do in the week. If exercise or activity are important, (and I would suggest for a healthy lifestyle it is), then fitting it into your mix and balancing it into your week is crucial to your work life balance. Time with friends – Is this something you’d like more time for? Is it nights out? Days walking? Holidays? Theatre? What does this mean to you, and how can you measure it? Time to do home jobs or personal appointments – Just like the research in New Zealand, having time available to do your household tasks and get to the dentist on a day off, or take those things to the tip can be so beneficial to you feeling great. Right? So how can you get the balance right for you if this is important to achieving work life balance? Quality & length of sleep – Yes, sleep is important 🙂 We talk about it a lot, and sleep is one major factor in reducing stress. But isn’t this what achieving work life balance is all about? 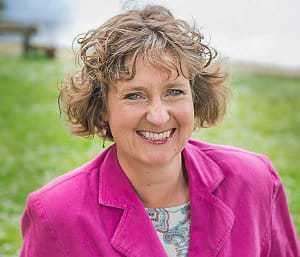 Living a happier more fulfilled life? How do you know if you’re achieving work life balance? Personally I think balance changes over time. In my experience what was right for me when my children were small is very different now they’re teenagers. I don’t think my values have changed, but what I want to do with my 24 hours a day has a different focus. In the Business Cheerleading Club we’ve been talking a lot about mindset recently, after our workshop with Lottie Moore. This shift in emphasis of mindset I think helps us look at what we want to achieve in life and not just in business. I’ve got 5 spaces left on the Summer Programme if you’d like help with reviewing and achieving your work life balance. In just 20 minutes a week we’ll get that focus on your work and life, and set the actions for the next week. Simple steps of moving forward, with the support of an experienced listener and business owner may just be what you need to find your work life balance, this summer, and get ready for your autumn business growth. T-J, what a fabulous post! My sister works a four day week, and my husband is seriously considering changing to four days a week sometime during this autumn. For my sister it is to have Mondays off to visit our ageing parents (the same for me on Thursdays), and for my husband it is to do some gardening and go on walks with lunch out (and to spend long weekends visiting his ageing mum too). Thanks Alice. So good to hear that your family are making the time work for them. My husband and I shared childcare in the early days, each doing 4 days. It was great. Then he changed jobs and it wasn’t possible. How good would it be though if employers recognise that people need that time to do the things they want to do, particularly those of us with caring responsibilities?